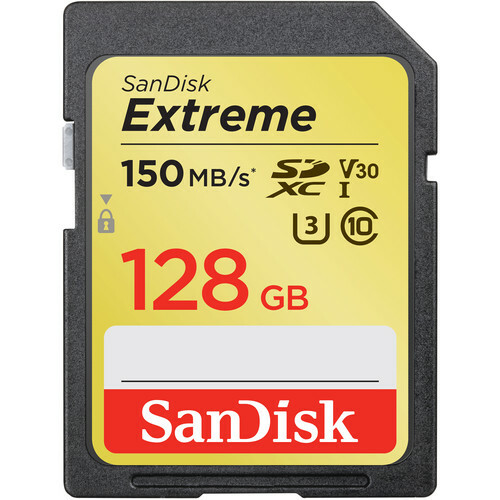 Designed for SD devices that can capture Full HD, 3D, and 4K video, as well as raw and burst photography, the 128GB Extreme UHS-I SDXC Memory Card from SanDisk has a capacity of 128GB, is compatible with the UHS-I bus, and features a speed class rating of V30, which guarantees minimum write speeds of 30 MB/s. If your device does not support the V30 standard, this card also supports the U3 standard, which likewise guarantees minimum write speeds of 30 MB/s. Read speeds are supported up to 150 MB/s and write speeds max out at 70 MB/s. A built-in write-protect switch helps to safeguard against the accidental erasure of card data. Box Dimensions (LxWxH) 8.55 x 6.35 x 4.7"
128GB Extreme UHS-I SDXC Memory Card is rated 4.2 out of 5 by 5. Rated 5 out of 5 by Kevin from I will only trust SanDisk Again, I will only trust SanDisk memory cards. 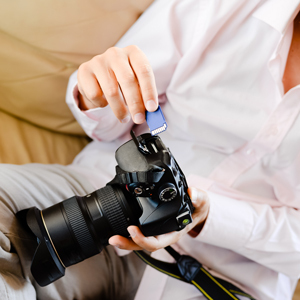 Too often have I opened a travel bag to discover a totally obliterated card; literally in pieces, never to be used again, let alone recoverable photos. I simply trust the quality of the product. Rated 5 out of 5 by Tony from Perfect for Sony A7III Was thinking about getting faster cards for a higher price but the read/write speeds of the camera means that these cards are plenty fast enough for A7III. And the price that B&H offered these at was too good to turn down. 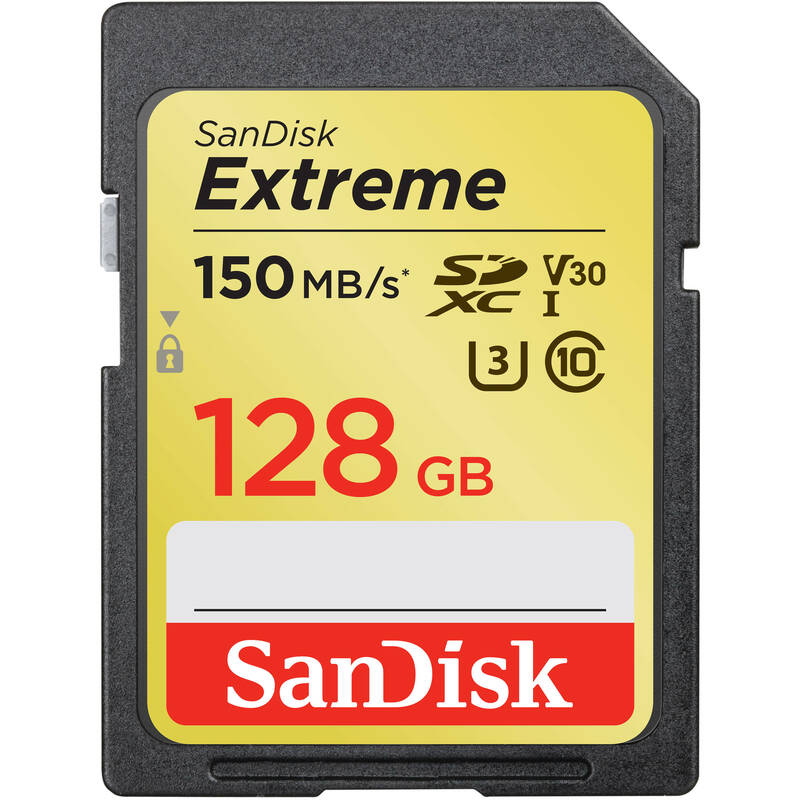 Rated 5 out of 5 by Freddy from SanDisk 128GB Extreme UHS-I SDXC Memory Card Great memory card for the price paid. Rated 5 out of 5 by David W from Great value. Working just fine. Great value. Working just fine.